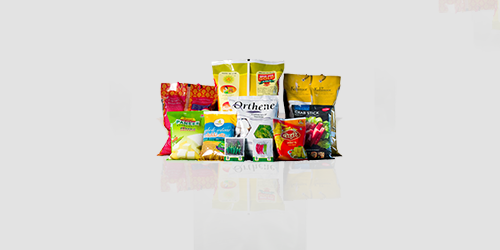 Flexible packaging is the favourite packaging option for the businesses these days. The main guiding factors behind this shift are low packaging cost, light weight packaging, customised packaging options, attractive packaging, greater brand appeal and the rest. Center seal pouch is one of the most common pouches businesses use to manufacture their products. The reasons for the popularity of a center seal pouch are multi-fold. Let’s have a look. Low manufacturing cost which benefits not only the businesses but the consumers too. Reasonable price of the product is one of the greatest aspects of the popularity of a particular brand among the end users. Simple yet sturdy design that can prevent external elements like air, dust, moisture or heat from spoiling the quality of the stored product. Sometimes a window incorporated in the pouches increases the brand appeal and attracts more buyers. A center seal pouch is a light weight pouch and offers easy portability and thus more convenience to the users. The light weight feature also ensures hassle-free disposal of a center seal pouch as compared to a bulky pouch. Brand value can be increased by colourful printing and laminating of a center seal pouch. Paraspack manufactures and supplies beautifully printed and laminated center seal pouches for pharmaceutical, electrical, automobiles, food & beverages and other markets. Paraspack is a name in making designer puncture resistant pouches that can be used for storing solid, liquid or powdered materials. Give us a call on 9810187055 or mail at info@paraspack.com to get info on any of the pouches we manufacture.